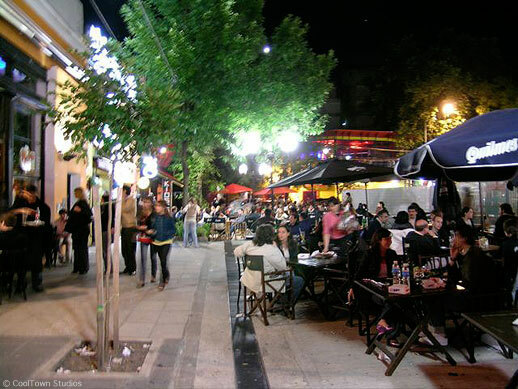 Buenos Aires Night Tour| ba-walking-tours | buenos aires walking tours | Buenos Aires Tango... in English: The Best way to see BA! •et; Duration: 4 hours (7:30pm to 11:30pm. Soon after we start—and early by local standards—we will stop for dinner 'a la carte' (you choose) at some unforgettable typical-Argentine-food place of our choice (cost is included—we pay). We choose different restaurants each day (you can join every night if you wish!! ), and we will advise you on the foods to choose and their history (vegeterian options are always available). Excellent drinks and beer are included but wine and beef are not and are optionally available (on you: we advise, you choose, you pay). •et; Meet: Hotel pickup is available at downtown hotels for a small additional fee (USD $20) if you let us know with at least 24hs advance. Unless otherwise specified, these tours meet 7:30pm at the downtown corner of Santa Fe Av. and Callao Av., at the door of the coffee store. Your guide will be holding a 'BA-Walking-Tours' sign. See map here. •et; Note: Please note this is not a tour about drinking (though drinks are OK). Booze is not a cultural mainstay here: Going out at night, walking around, cafe & restaurant hopping, people-watching, enjoying outstanding food and ending the night with some treat (much later and somewhere else) are! 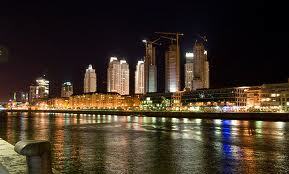 Puerto Madero, new & fancy ...and much, much more!! 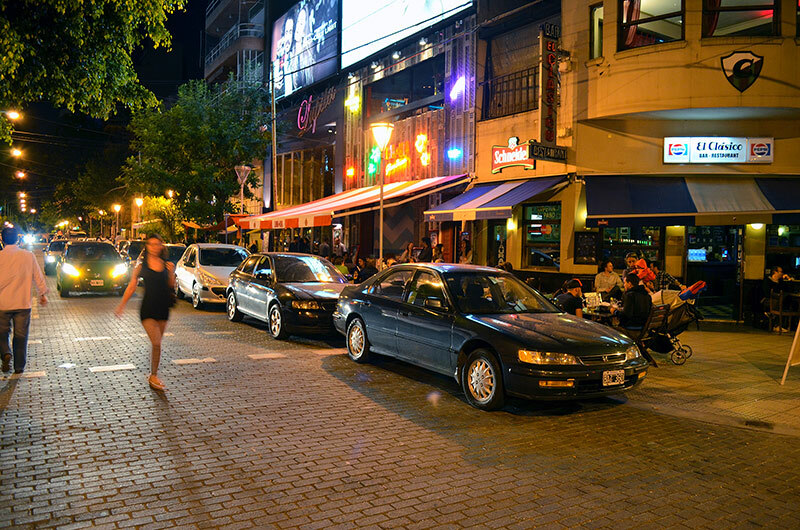 In this walking tour we will show you the main 'clean' night-out districts (yes, everybody goes out at night here) that Buenos Aires can offer: Their fascinating places, habits and history. Once you are familiar with these areas you will be able to access hundreds of interesting and fun places and activities at night here on your own and without any help. Puerto Madero, the newest neighborhood in Buenos Aires, with its surprising history and luscious landscapes, deserves a special visit from you. Puerto Madero is now considered one of the safest areas in Buenos Aires (Coast-guard patrolled). Not to mention that in terms of Real Estate, it is one of the highest property value among all other Latin American cities. Las Cañitas’ rich history begins over 100 years ago when it was only an open, quiet space surrounded by grassy lands. These beautiful acres of land were mostly used to prepare horses for the nearby horsetrack races. The locals had always been fond of equestrian activities. Much of their daily life in Las Cañitas revolved around horses. The name of Cañitas comes from the name given to the road: Camino de Las Cañitas, which means little reed road. 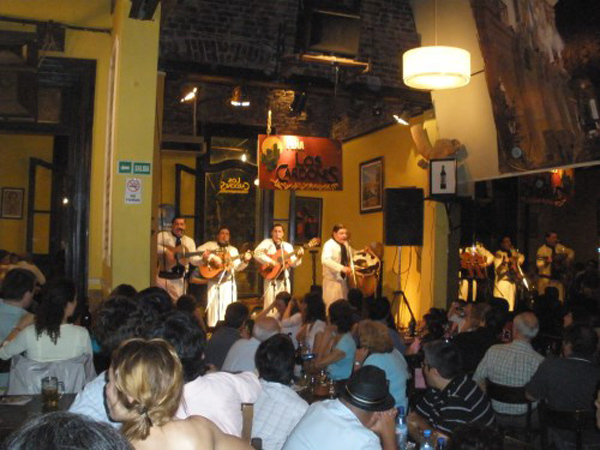 Since the early 90’s, Las Cañitas has been considered a fashionable gastronomic zone that is to this day satisfying the increasing number of tourists, as well as local visitors appetites. 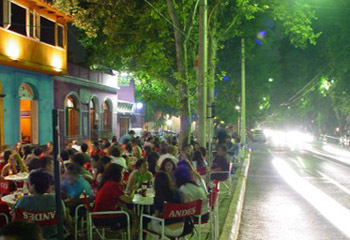 At present, Las Cañitas has more restaurants than any other area in Buenos Aires. These restaurants, bars, lounges, most of them offering open air seating and an infinite variety of choice, each delivering excellent quality! By the beginning of the twentieth century, the Polo field, a military training campus was created in Las Cañitas. Polo season runs March through May and September through December. Las Cañitas becomes a meeting point for local celebrities and polo stars from November to December due to the Argentine Open Polo Championship, the most important polo tournament of the world. This beautiful game mirrors the Porteños love of sports and is a highly enjoyable pastime. 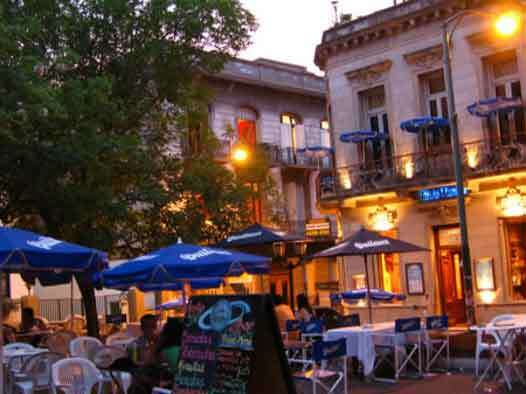 San Telmo is full of tango clubs; one of the most notable is El Viejo Almacén, at Independencia and Balcarce. An example of colonial architecture, it was built in 1798 and was a general store and hospital before its reincarnation as a tango club (mentioned in one of the earliest Tango lyrics). Make sure to make it here at night for a show. If you get the urge for a beginner or refresher tango course while you're in San Telmo, look for signs advertising lessons in the windows of bars and restaurants.